The first impression achieved with the customer is to the effect, that the high value and elegance of the merchandise is perceived instantly because of the excellent presentation. That the merchandise is high priced as well is not imminently recognized, as the price label is not very noticeable; one could argue wheter this is of importance for the target group. 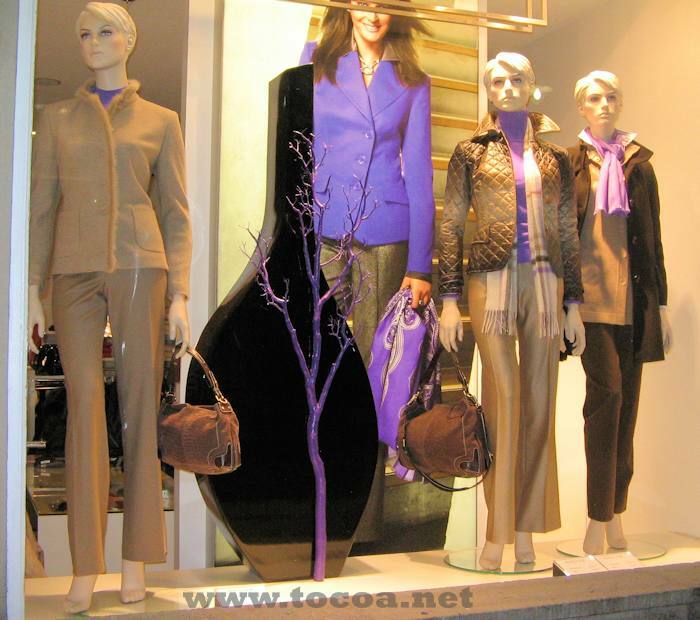 The target group is adressed by utilizing display mannequins in the middle age as well, an age group where most of the target audience can be found. 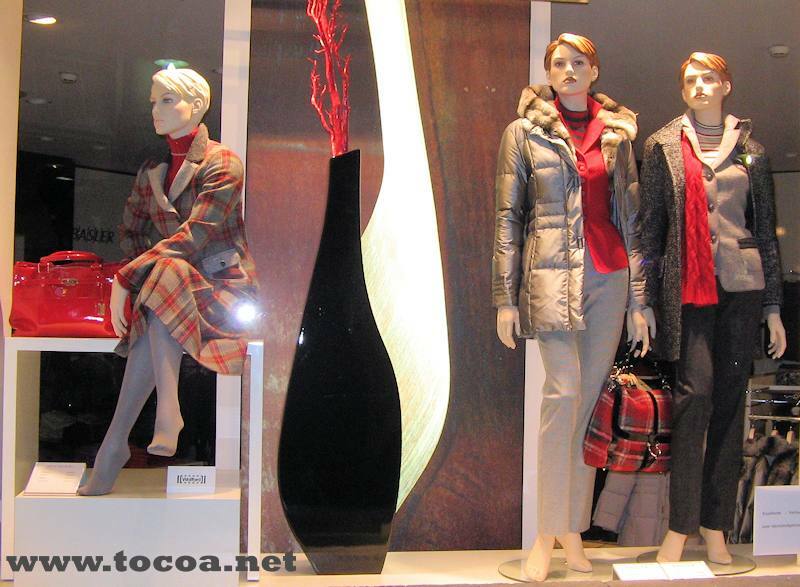 The positive impression is amplified by the discreet, yet effective illumination of the scenery via spotlights, the complementing decoration consisting of natural materials, the color coordinated display systems as well as the complementary accessories fitting well to the apparel and which were embedded discreetly into the scenery.